Michael Cohen raid rattles Trump allies: Did feds seize president's communications? While Deputy Attorney General Rod Rosenstein has told President Trump he is not the target of the investigation into Michael Cohen, the stunning FBI raid on Trump's personal attorney has spurred mounting speculation about what presidential communications, if any, the feds might have picked up. The U.S. Attorney’s Office for the Southern District of New York says Cohen has been under investigation for months, and they were behind the raid. But the move has so rattled Trump's allies that Republican Rep. Jim Jordan on Monday plans to send a letter to Attorney General Jeff Sessions asking whether he was consulted. "We're not talking about just any lawyer, it's the lawyer for the president of the United States," he told "Fox & Friends." Cohen is being investigated by a grand jury probe for his personal and business dealings, which includes a $130,000 payment made to adult film star Stormy Daniels in exchange for her silence about an alleged sexual encounter with Trump in 2006. A source familiar with the investigation told Fox News that Rosenstein recently told Trump he is not a target of the Cohen investigation. Trump had previously been told he is not a target of Special Counsel Robert Mueller’s probe, either. But Rosenstein made the claim without the benefit of knowing what is in the trove of documents seized from Cohen’s residence and office. Some questioned Rosenstein’s decision to make such a statement. “If I was [Sessions], I would fire Rosenstein on the spot,” one legal source close to the White House told Fox News. What the trove of materials picked up by the FBI contains remains a mystery. “The president is not out of the woods,” former high-ranking Justice Department official James Trusty, who served under the Bush and Obama administrations, told Fox News. “There really has not been any visible change since he was apparently informed of his status as ‘subject.’ Not being considered a target of the Mueller probe does not mean he can’t still be charged as they obtain additional evidence," he said. "Not being a target for the Cohen investigation and search warrant is slightly reassuring, but again does not mean much in terms of whether he will ever be charged." U.S. District Judge Kimba Wood last week denied a request from Cohen and Trump's team to first review the materials seized in the April 9 raid, saying she had faith in the Justice Department's "taint team" to isolate materials protected by attorney-client privilege. She added she would consider allowing a neutral third party requested by Cohen to weigh in. Trump’s legal team had argued the president “has a unique interest in ensuring that every privileged item is fully protected from improper disclosure” and that the president should be able to review the seized documents. “The President, the public, and the government have a vital interest in ensuring the integrity of the privilege review process, and the taint team is plainly inadequate to the task,” the filing said. Trump lawyer Jay Sekulow declined to comment to Fox News about the Cohen investigation. One possibility is that the raid might have picked up recordings kept by Cohen. The Washington Post reported last week that Cohen often taped conversations with associates and that those records may have been among those items seized by federal investigators. While any recordings would likely be subjected to attorney-client privilege and therefore isolated by the taint team, the Post notes that the privilege does not apply if the conversation was conducted to further commission of a crime. Doug Burns, a former federal prosecutor, was more skeptical that the FBI has recordings of conversations between Trump and Cohen and also doubted they could have picked up conversations by a broader surveillance operation on Cohen. If Cohen had taped calls with Trump, experts said that it could be highly problematic for Trump. “Tape recordings could be more overtly criminal than records or notes, due to the fact that people think it’s private and don’t know they’re being recorded, so the substance of the calls, if criminal-oriented, could make it easier for a judge (or an appointed special master) to rule that the privilege is destroyed,” Trusty said. On Friday, The New York Times reported more nervousness from the Trump team, reporting that Trump’s advisers are resigned to the possibility that Cohen could cooperate with federal officials about activity that could relate to Trump. Burns told Fox News that the probe, apart from the legal troubles it poses, is also affecting Trump’s ability to govern. "It is damaging his ability to govern obviously; much of the media is obsessed to it to the point of not reporting on the things he's actually getting done and it's causing rampant speculation,” he said. “If I am correct, this could end very badly for Mr. Trump and others,” he said in a statement last week. Fox News’ John Roberts, Catherine Herridge and Kelly Chernenkoff contributed to this report. 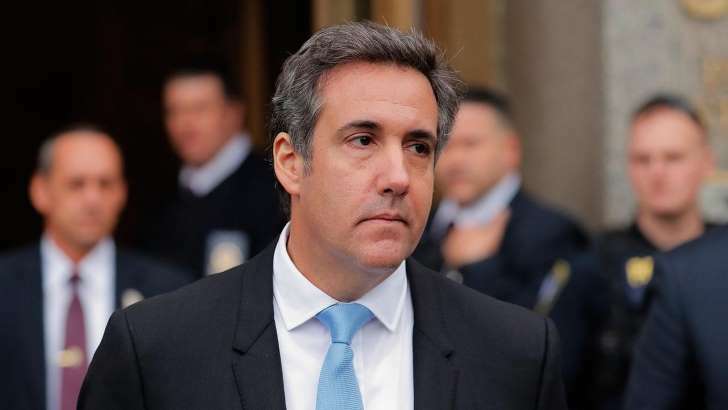 Politics - U.S. Daily News: Michael Cohen raid rattles Trump allies: Did feds seize president's communications?